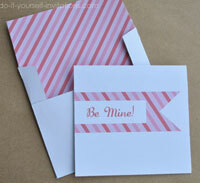 Everything From Printable Valentines Cards and Invitations, to Cupcake Topper, and More! 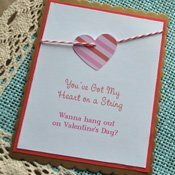 Nothing beats a handmade valentines greeting or invitation. They are so much fun to make and can really unleash your creativity! But who has time these days? That is why I created this printable template. You can customize this template by adding your own invitation or greeting card wording. You can change the fonts, sizes, or font color as well. Print it, trim it, jazz it up a lil more if you want to! Then simply pop it in the mail or give them by hand! I like to get really creative with these templates by adding glitter or rhinestones to the cards after printing them. You can add a coordinating cardstock background, add some ribbon, or simply pair it with a really nice envelope and matching liner! You just cannot go wrong, since it is free! AND everything on this page makes GREAT childrens activities as well! Why not throw the mother of all Valentines day parties?! I went up and beyond the usual with this printable valentines page. I not only created a template for a printable invitation or greeting card, but also some cupcake toppers, mini flags, envelope liners, and pinwheels! Hope you all enjoy! 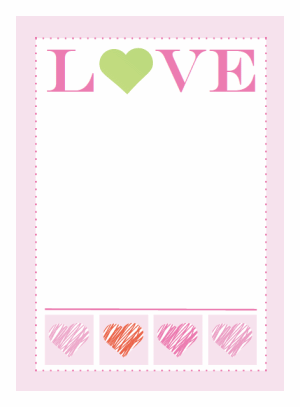 Click on the graphic above to download and print our free printable Valentines invitations or greeting cards template. To use our templates is pretty straight forward. Save the file to your desktop. Open it and place your cursor in the middle of the page to start typing. Enter your invitation or greeting card phrases and then highlight them and press "control" and the letter "E" at the same time to bring up a text tool palette. Using the palette you can change the fonts, font size, colors, alignment, and more. To use the envelope liners simply print the template onto standard weight paper or sticker paper. Trim the paper on the guidelines and then use an adhesive of your choice to attach them to the inside of your envelopes. Depending on the style of envelope you choose you may need to trim them further. Also included on the sheet are some printable stickers for placing onto teh outside of teh envelope. You can use them with sticker paper or simply apply some glue stick adhesive to the back. Print these cupcake toppers onto some plain white cardstock, trim, and glue them together back to back onto the ends of some lollipop sticks or flat toothpicks. They will look SO cute sticking form the tops of some pretty pink cupcakes! You can also attach them to straws for some decorative valentines drinks. 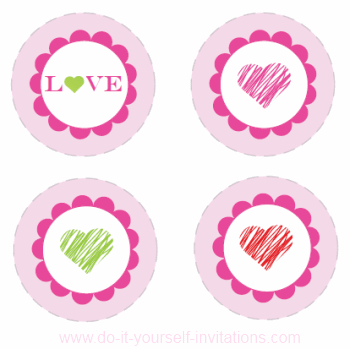 Need some cute matching decorations for your Valentines Day party? 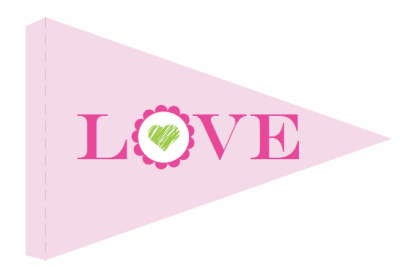 These printable valentines flags are perfect for creating table decorations or even a hanging flag bunting! 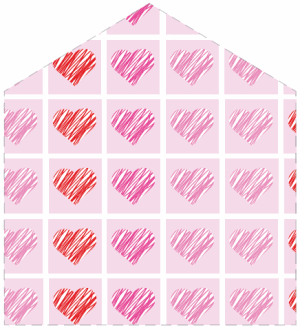 There are three different styles included on this one printable sheet. Enjoy! What could be more perfect a DIY favor than handmade Pinwheels all in a printable pattern that coordinates with all the rest of your party gear! Print the template onto cardstock, follow the guidelines to trim the pattern from the paper, and the fasten everything together with a paper crafting brad. You can jazz them up a bit by using something fancy like a colored or glittered brad, or even ones with charms on the end. OR you can even DIY it by gluing your own embellishments to the end of the brads! Pictures to follow, I promise!